Zip™ USA | Give your fire some Zip! It was experts from Zip who invented the domestic kerosene firestarter in 1936, and the company has grown since then to become a world leader in indoor & outdoor firestarting and charcoal BBQ grill ignition. 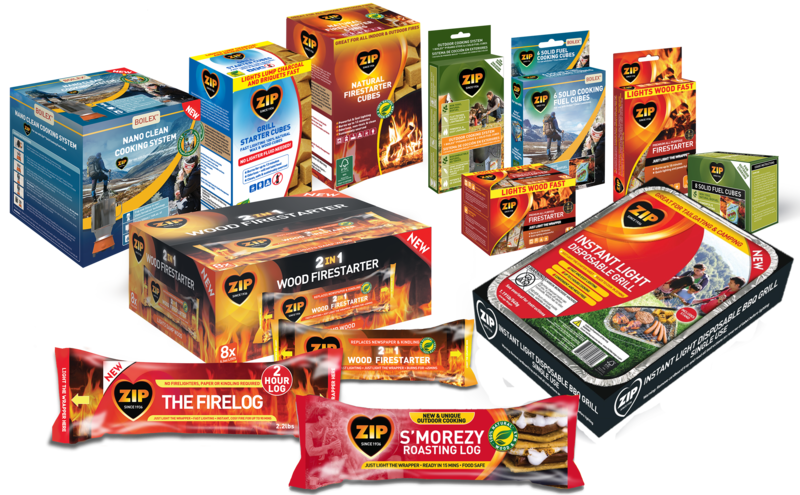 Zip has an extensive range of products, from natural and kerosene firestarters to firelogs and a whole range of grilling products. All Zip products hold the California Proposition 65 Warning. WARNING - Cancer and Reproductive Harm - www.P65Warnings.ca.gov.